On September 11, 2001, and for some time thereafter, Americans observed and experienced the grief of individuals and a nation. Now, ten years later, we observe and remember it anew–whether our own or the grief of strangers. If you caught any of the television coverage you probably saw family members reading the names of the dead or tracing the names of loved ones carved into the memorials at ground zero. These images are both beautiful and heartrending, especially those of the children who are growing up without a parent. Or, you may have watched some of the surviving firefighters and police officers tell of their struggle to breathe or to fight the cancer that is likely the result of breathing in the toxic dust as they dug in the pit without proper protection. As the names and ages scrolled across my television screen, I noted how many were so young, hardly even into the prime of their lives. Though I lost no one in my family or circles, I feel some small portion of the grief families continue to feel and am glad they have a beautiful place to go to remember their dead. Remembering the dead with ceremonies, markers, and moments of silence is an important part of living and grieving well. It is an active means to recall who we are (whether individual or nation), what we are, and where we are headed. As a people, we tend to do funerals pretty well. We recall someone who has died and how they influenced our lives. And, we endeavor to keep a part of their legacy alive in how we live our own lives. I think these kinds of memorials have the opportunity to do the same thing. But, and this takes nothing away from our collective grief, I am also aware that so many around the world die in obscurity without even the dignity of a thoughtful burial, with no one remembering their life or death. This is especially true in war-torn, impoverished areas. One militia erases the village of an opposing faction. Most are killed, a few survive by escaping into the bush or forest. The dead range from infants to elderly. They are left to be raided for any remaining goods, picked over by wild dogs, and whatever bones are found are later bulldozed into a mass grave. In the West we may hear of these deaths and shake our heads at the senselessness of human atrocity. But distance and disconnect with other parts of the world rarely cause us to rise up as a nation and observe (stop if possible) and remember the grief of others. One such arena of senseless and invisible slaughter happened in DRC. 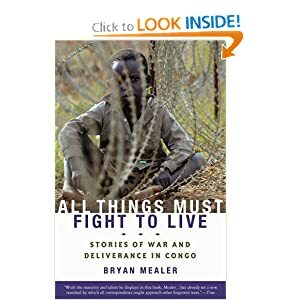 Bryan Mealer gives you an inside look at suffering and death and the desperate attempts of many Congolese to stay alive during the great African war. What I noticed was how little time there was to remember and grieve. Remembering is done by those who do not fear for their safety. So, as we remember our own grief, let us also recall and remember those victims who get no grave nor remembrance. 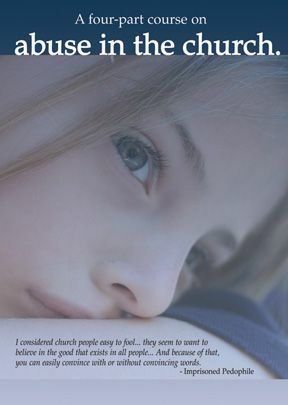 What does not grieving do to those who don’t grieve? Thanks for this reminder of those who suffer such atrocities. As I reflected during the 9/11 anniversary & as I read your blog, a Meditation by 17th century poet John Donne came to mind: “Any man’s death diminishes me, because I am involved with mankind.” And as I grieve for those who have no one else grieving for them, I pray for their deliverance from such terror. Lord, send the workers!